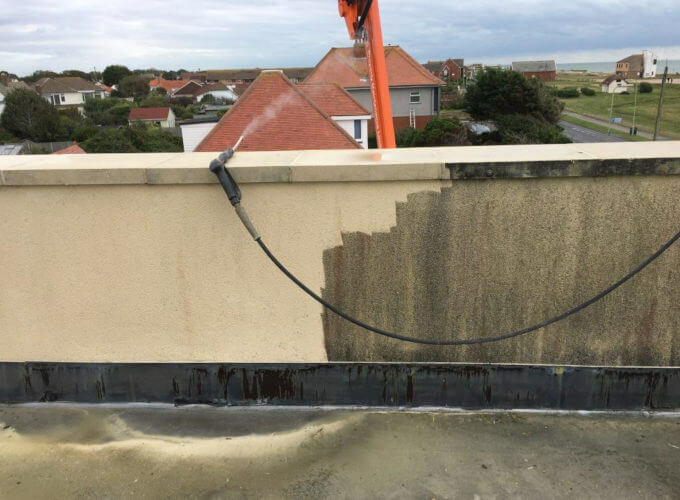 Our Doff cleaning team were in Hayling Island this week. 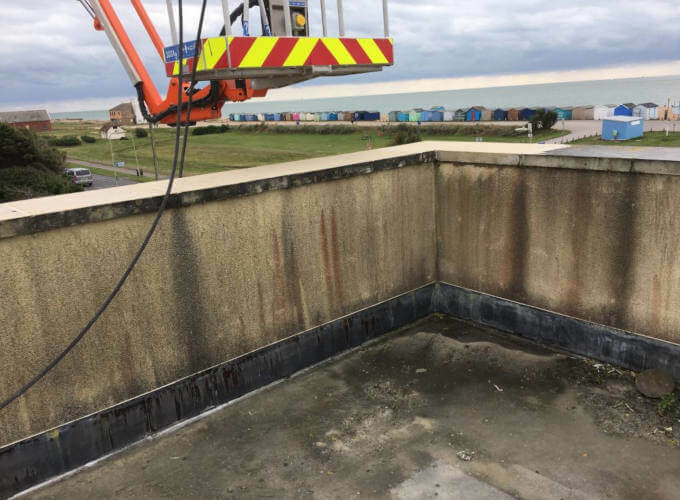 Due to the location of the property, these buildings get a very heavy hammering from the weather, with sea spray and salts from the water promoting the growth of algae and grime incredibly quickly. The Doff steam cleaning system helps kill these algaes and removes the grime. The Doff cleaning system takes water and superheats it to over 150 degrees under pressure and then is applied to the building. 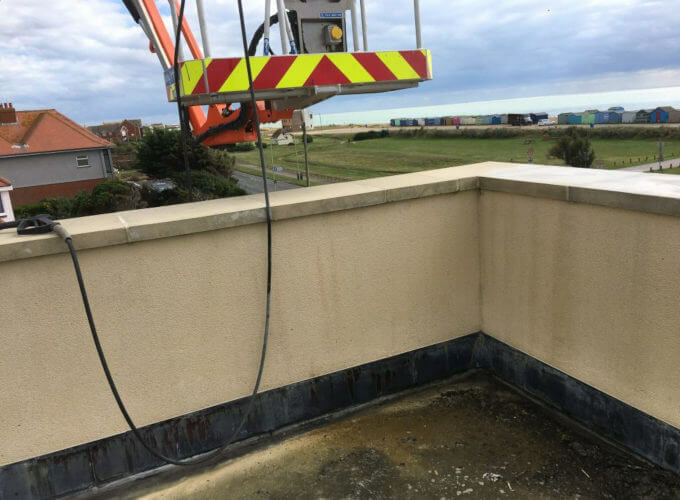 MC Property Maintenance are specialists in using the Doff cleaning system, and with our range of Cherry pickers and Access platforms we do not need to use expensive and intrusive scaffolding to complete the task. If you would like to know more about the attributes of the Doff cleaning system please contact us.